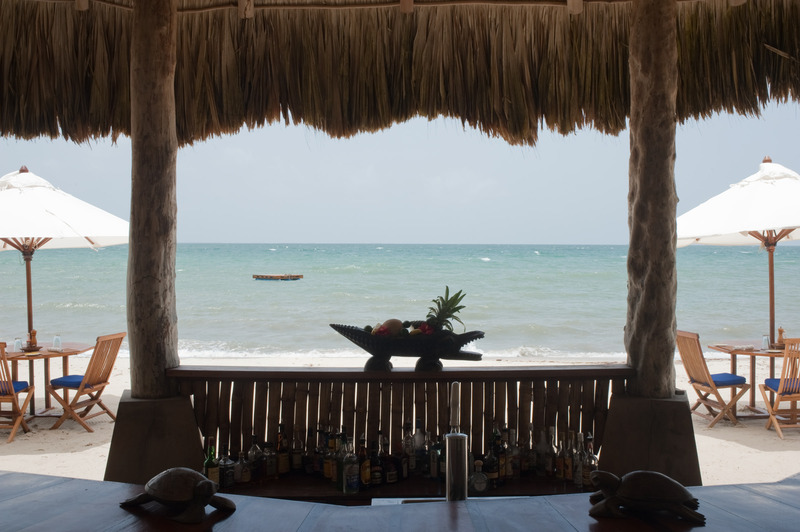 Just steps from our luxurious infinity pool, a towering thatch roof provides a shady retreat to enjoy a wide selection of drinks. 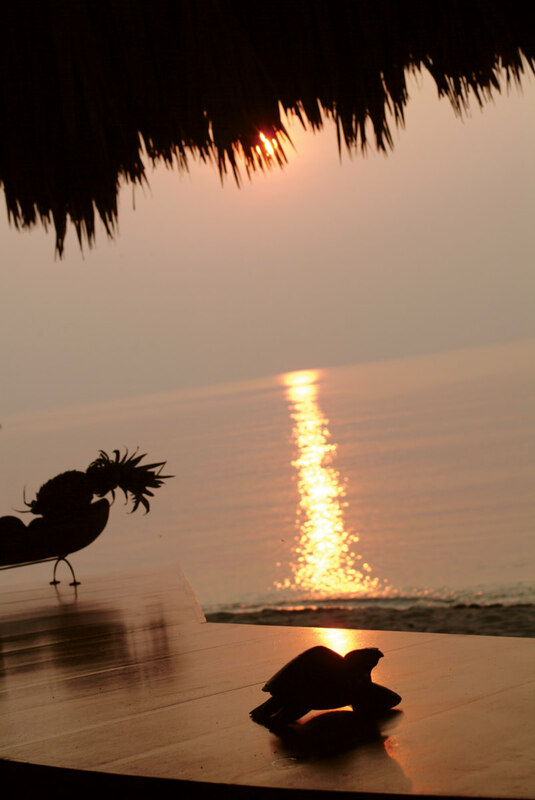 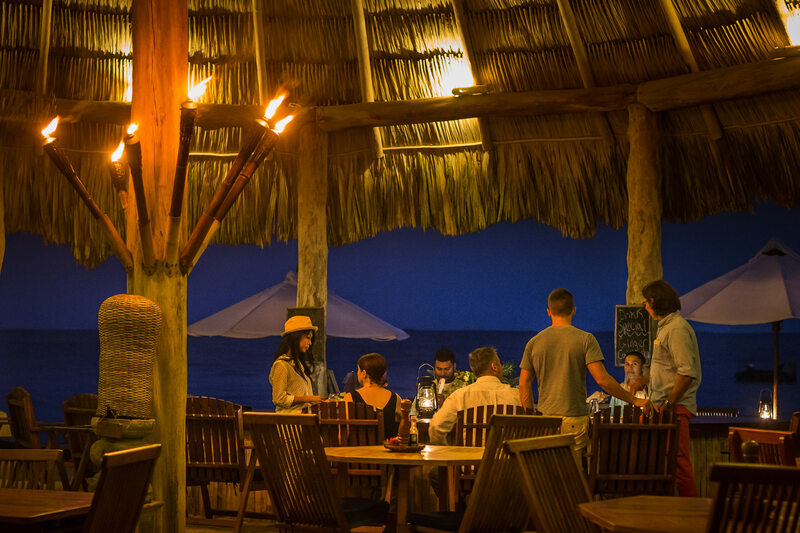 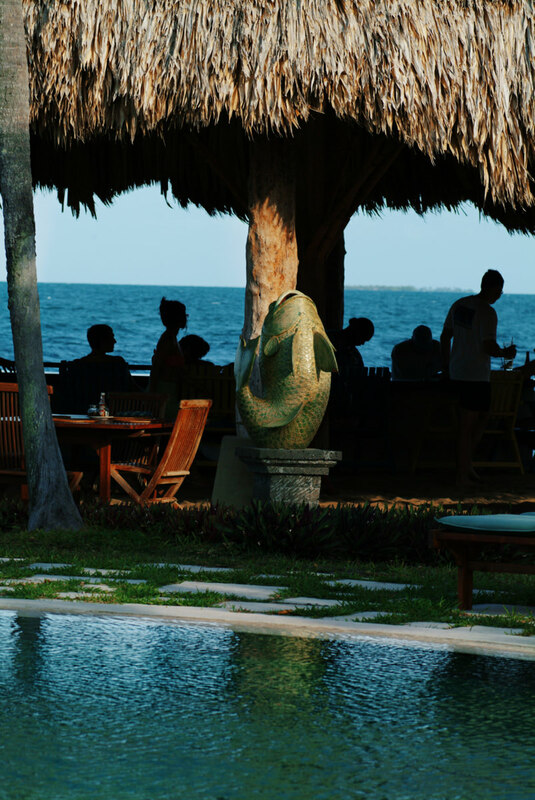 Bar stools sit directly on the golden-sand beach, offering panoramic views over the sea to the offshore cayes (tiny islands). 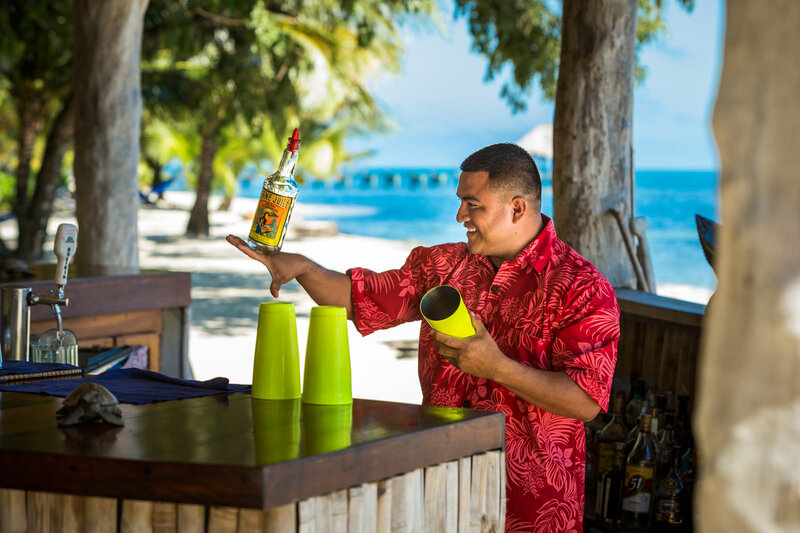 You may even catch your bartender preparing your cocktail in a coconut, picked from the palms above.